The Altrincham Garrick’s 2015/16 Season has been launched today, revealing a new season packed with productions, both on our main Stage and the Lauriston Studio, together with many varied visiting productions. 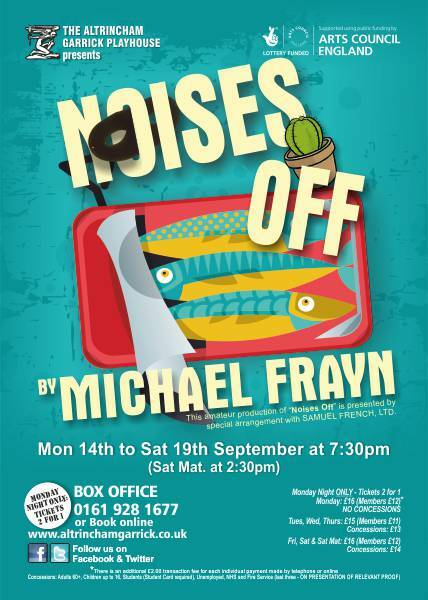 Our New Season opens on Monday 14th September with Michael Frayn’s wonderful comedy ‘NOISES OFF‘ ?- BOOK SOON! – before tickets start running out! ?There has never been a better time to be part of the Garrick Playhouse.